The 16th of June marks the start of the Refugee Week – with a full programme of activities and events – but are we doing enough throughout the rest of the year to support refugees and asylum-seekers locally? 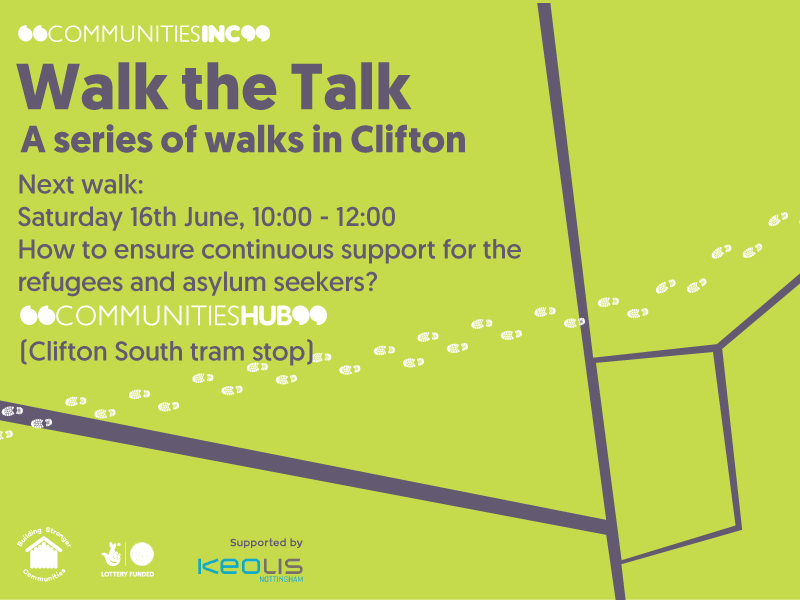 While exploring landscape and wildlife of Clifton countryside, you will be asked to discuss our latest theme – how to ensure continuous support for the refugees and asylum seekers? All activities at Communities Hub are supported by Nottingham Trams.